I was delighted to be asked to join the Book Tour, following some of my favourite sewing bloggers, for Wendy Ward’s new tome ‘A Beginners Guide to Sewing Knitted Fabrics’. This was originally scheduled to happen earlier in the year but was delayed whilst the book went to reprint, as the original run sold out within two days! I made two garments from the book by way of a review…the Monsal Lounge Pants and the Kinder Cardigan – patterns which have both proved very popular! The book is split into two main parts, ‘Techniques’ and Projects’ and includes paper pieces for six basic pattern blocks which can be hacked and altered in a variety of ways to make many more. It is, as the title implies, a book intended for beginners, however, there is enough here for the more advanced sewist too. Given that it’s been a while since I’ve made both these garments, I can tell you I’ve worn them a ridiculous amount! Secret Pyjamas for the win!!!! If you want a copy of the book there is, wink wink nudge nudge, a whopping 25% discount on the £12.99 cover price at MAKEetc.com until 21st April! What’s your favourite secret pjyama patterns?! Pingback: My #2018MakeNine Sewing Review…err, it’s not quite as good as I thought! Hi, I’m Sarah…thanks for stopping by. Here I aim to document my sewing journey; the greats, the just wearable and – lets be real – the absolute fails; sharing whatever I learn along the way here, with you. You can find out more about me by selecting About Me/Contact Me from the main menu or choosing ‘All Sewn Up’ from the Categories menu. #Sewtogetherforsummer 2019 is here - and we're 'Jumping' for Joy! Dartless FBA for Knits - Do You Need One & What’s the Best Method? #sewtogetherforsummer 2019 - The Sponsored Gifts! Enter your email address to follow Sew Sarah Smith and receive notifications of new posts by email. 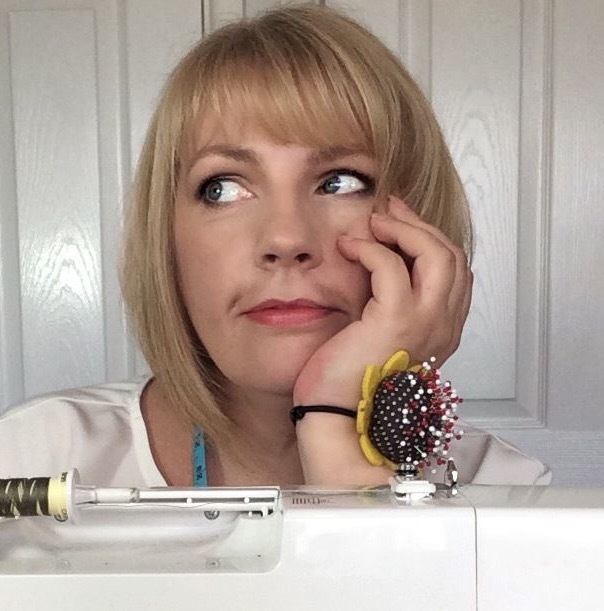 Unauthorised use and/or duplication of this material including and not restricted to photographs graphics and written word without the express and prior written permission from this blogs owner (Sarah Smith known as Sew Sarah Smith) is strictly prohibited. Excerpts and links may be used where full and clear credit is appropriately given to Sew Sarah Smith with direct links highlighted redirecting to the original content. 👖 Blogroll – My Favourite Bloggers!